Collect all of the parts needed to activate the teleporter while taking care of the aliens that have abducted you. 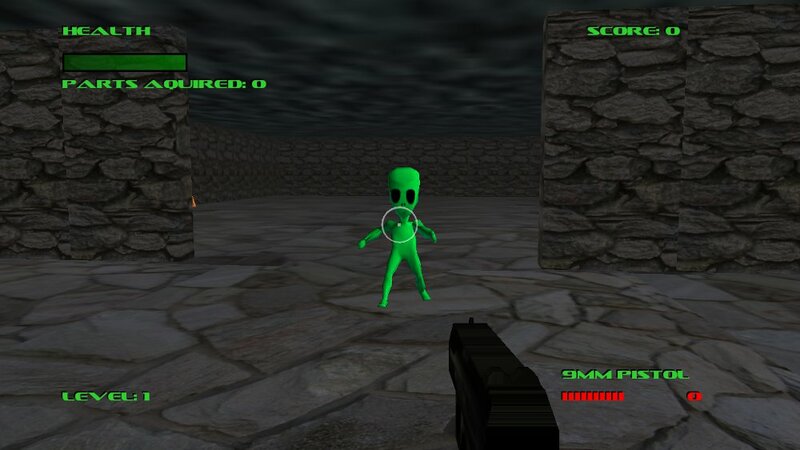 First person alien shooter game. Endless levels, pickups and powerups.